The Gower peninsula was the very first area in Britain to be designated an Area of Outstanding Natural Beauty and it’s easy to see why. It is a place of stunning contrasts, such varied landscapes within an area of just 70 square miles! The rugged limestone cliffs of the south coast can be enjoyed from the coastal path which now extends right round the Gower Peninsula. 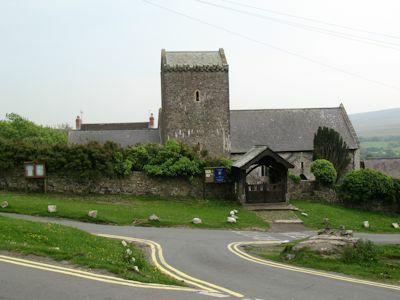 Take the car to Oxwich or Southgate and walk from there. The hills around Llangennith are not too challenging to climb, and worth it for the views at the top. Rhossili Down rises to 193 metres, the second highest point in Gower. The slopes at the Rhossili end are popular with hang-gliders and paragliders. From the top of Rhossili Down you can not only see all round Gower but also across the Bristol Channel to the coasts of Somerset and Devon and Lundy Island is visible on a clear day. Llanmadoc Hill is similar in height to Rhossili Down and from the top there are wonderful views over the Loughor estuary, and across Carmarthen Bay. If the weather is clear, it’s possible to see the stuccoed houses on the front at Tenby and also Caldey Island with its lighthouse. Llangennith also looks across to Hardings Down, lower in height than Rhossili Down and Llanmadoc Hill, but known for its Iron Age earthworks. Indeed all three hills show evidence of Iron Age and Bronze Age settlements. The marshes on the Loughor Estuary are a stopping off point for migrating birds and many birds overwinter in the estuary. At any time of the year you are likely to see oystercatchers on the beaches at Llangennith and Whiteford sands, in the migration season they are often there in their hundreds. Lapwings nest in the dune slacks at Cwm Ivy, in what is now a protected reserve. Continuing along the two mile stretch of Whiteford sands brings you to the cast iron lighthouse at Whiteford point, the only such lighthouse in the UK. It can be reached on foot at low tide, a walk of around 8 miles from Barcud Lodge. The dunes are fascinating for their flora – sea holly, sea bindweed, bloody cranesbill, sea buckthorn, burnet roses, orchids and many more. It’s amazing how many different shrubs and flowers grow in what would not seem a very hospitable environment. In many ways, Gower is a land apart, hidden from travellers rushing by on the M4 by the sprawling city of Swansea. But it is well worth a visit as there is so much to see and do: walking, water sports, horse riding, paragliding or just relaxing and enjoying this beautiful location. 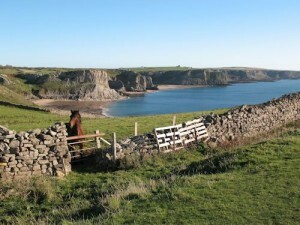 The best kept secret in Gower ....read more ..